You can find my book in all major bookstores. 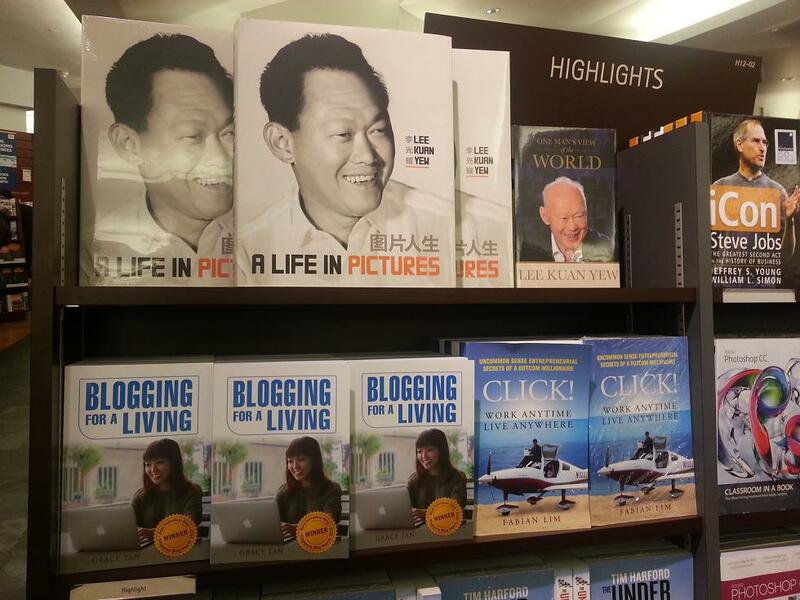 I certainly found my book in Kinokuniya, right below LKY’s book too! Here’s Willy again. 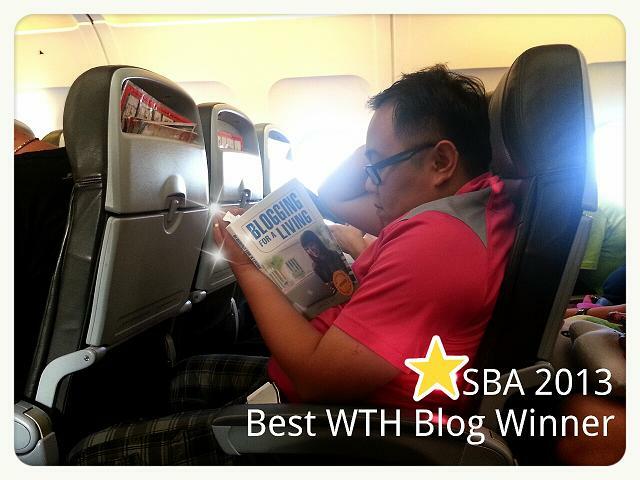 He’s the winner of the Best What The Hell blog category! If you want to know what it takes to be a good / great blogger, here it is: Never cease to learn. 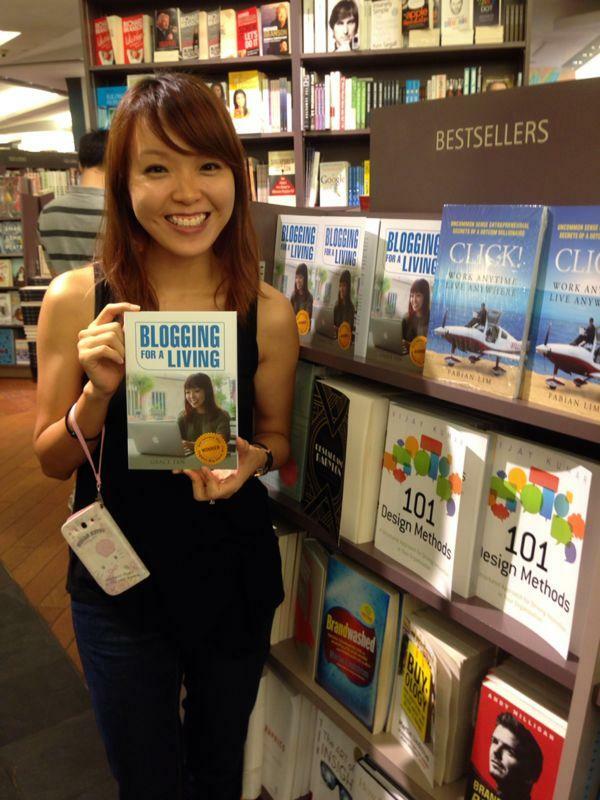 To receive an autographed copy of Blogging For A Living, simply send me an email (gracewwg [at] gmail.com) and I’ll forward you payment details. 🙂 *No GST and No postage fee for residents of Singapore and Malaysia. Hi Grace, I am actually reading your book and it is really inspiring. It is a ‘you can not stop reading it’ kind of book. 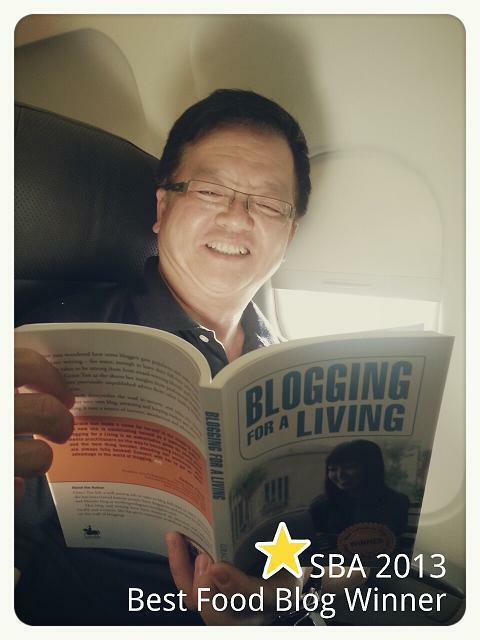 Every chapter has very useful information, it is really inspirational for bloggers like me that are just starting. And most of all, it is super inspiring, I only want to get my computer and start writing! (no worries, your book stays besides me!) Thanks for sharing your experience! Thanks for signing off the book and couriering it to me. I am proud to declare, I finished reading the book within 48 hours (cumulative), during my holiday in Hua Hin, in Thailand this week! 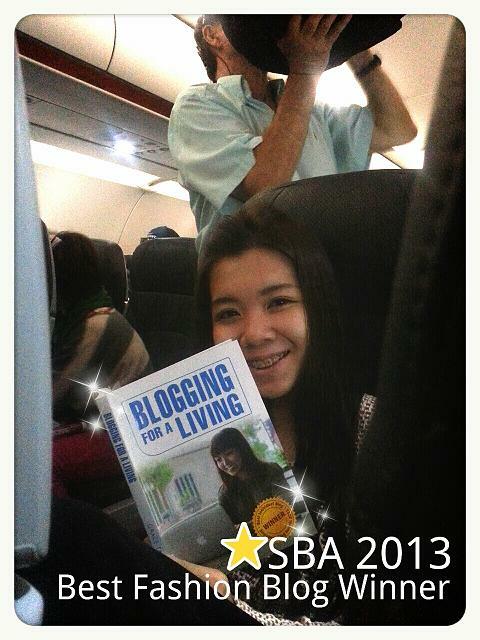 I wasn’t able to let go of the book, and whenever I could afford a minute or two, I would open up Blogging for A Living and read it, even during my 3 hours journey from Bangkok to Hua Hin. I have always love English language and have interest in writing. Humbly, years ago, during school hey days, I was quite active in writing, and had once won the first prize in my 6th Form school wide science writing competition. I always draw inspiration in just about anyone i meet and speak to, things i observe, and voices i hear. 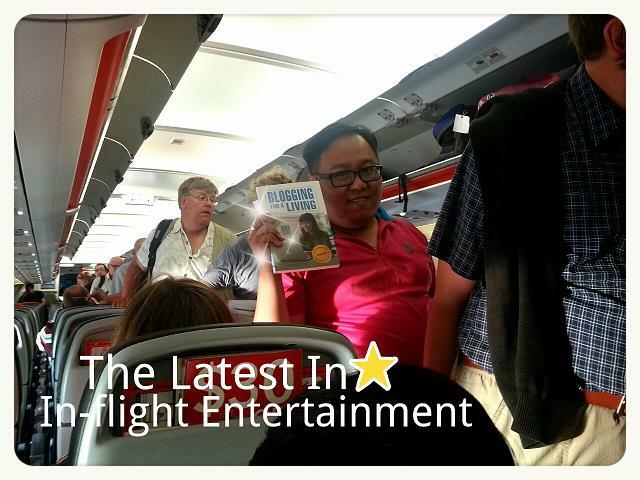 I am really glad I chance upon your profile from the interview you had with BFM Malaysia. Thanks for replying to my email! The contents you shared, were all very inspirational and motivating, through your book. Those tips and your personal experiences shared are really practical, easy to adopt and excellent. I am planning to read it the second time! I am proud to be associated with you now, as a newbie blogger and look forward to learn much more from you. Where can I get your hardcopy book? which bookstore? do you have a eBook.. either mode I will pay for it? Anyway am still trying to figure out how to create the drop down menu options for various categories I itemised. Tip toe if you must, but keep on moving…Zig Ziglar said, you dont hv to be great to START, but you hv to start to be GREAT ^^ Ths Grace! 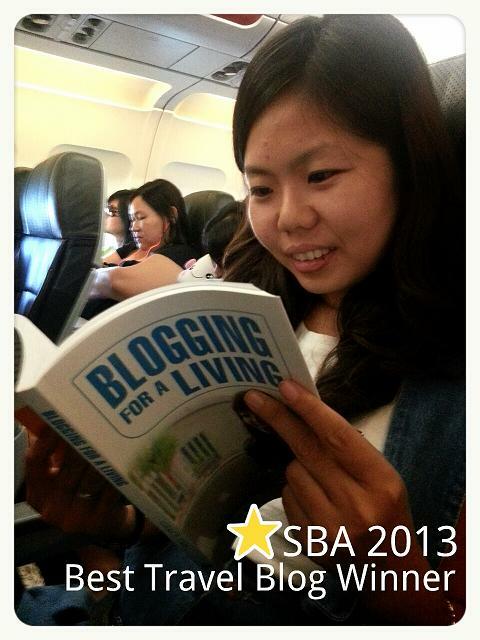 are you still conducting blogging course? Yup. In June. Watch out for the dates to be published soon. When are you coming out your second book? Hi Grace, how do I go about getting a hard copy of your book? I went to Times and Popular bookstore but there is no stock. Is it still available? I can mail out autographed copies. Anyone who’s keen to get one can drop me an email for details. 🙂 It’s gracewwg [at] gmail [dot] com. When is the next intro seminar ?